Each time I open up my computer to write a blog post I get excited and ask myself why I don’t blog more often? Of course life happens, work pops up, snacks need to be eaten…and on the list goes. In early January my friend Bri and I went to the Warner Bros lot for the Lunch at Lorelai’s event they were having. The idea of us going sparked from a pact we have that partially includes going out and trying new places, activities, and events! We had so much! As we pulled up to my house, Bri mentioned she found a macrame workshop being hosted by someone she follows on Instagram. Without hesitation, we bought the tickets and marked our calendars. The account she follows is @KnotKnowledge. This lady creates beautiful macrame pieces and hosts and teaches macrame parties and classes. 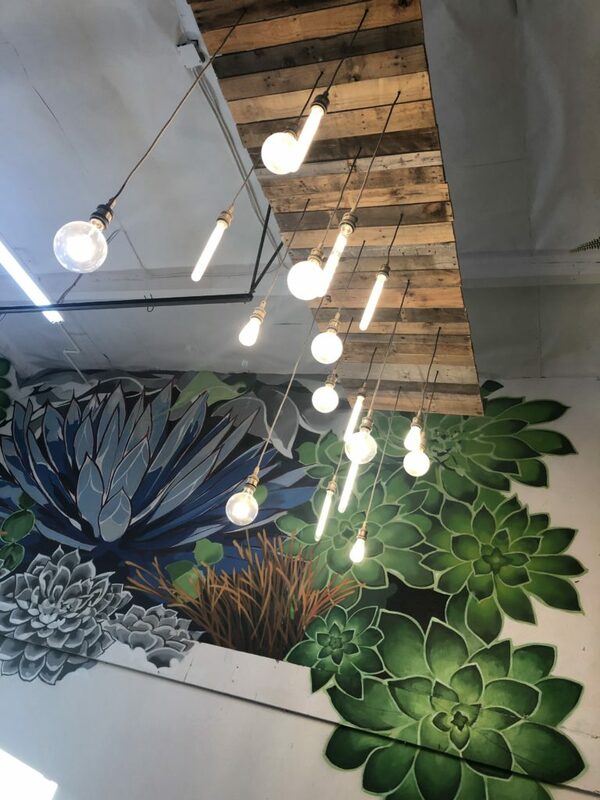 Sunday morning we drove down to Costa Mesa and located The Collab Lab. (Actually, I missed the turn so we had to circle the block even though we were already late, whoops!) 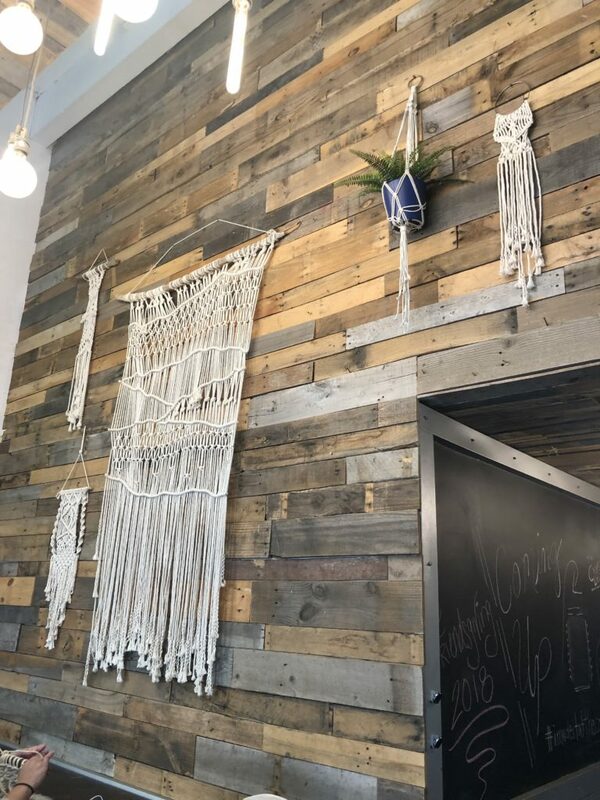 The front is a cute boutique with an assortment of macrame, door mats, jewelry, and more. We met Megan, who graciously waited for us before starting, and headed straight into the class. We each had a wardrobe rack, hooks holding onto the driftwood and eventually our macrame knots. We spent an hour and 45 minutes there, it flew by! We learned a couple different knots and methods for macrame. Megan’s instruction was very clear and she was more than happy to help anyone needing a little extra assistance. I had no idea how calming it would be. We chatted a little while working and also didn’t say much and just continued knotting the rope. It was so soothing and fun. I can see myself doing something like this while watching Friends or something. I would definitely come back and take another class. I also love the idea of doing this as a girls’ night. This is the link to check about other workshops. 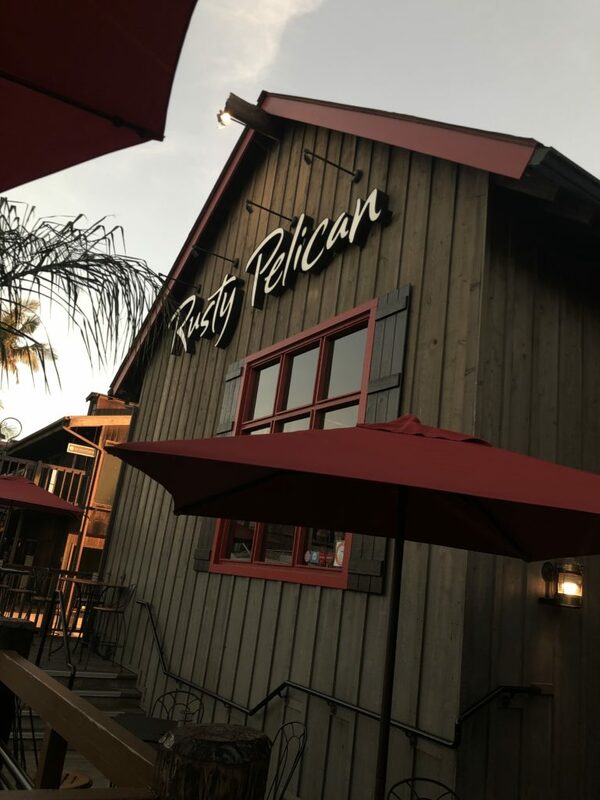 After we left the class, we drove down a few minutes to Rusty Pelican for dinner. We wanted somewhere that overlooked the water and this place was the best option. 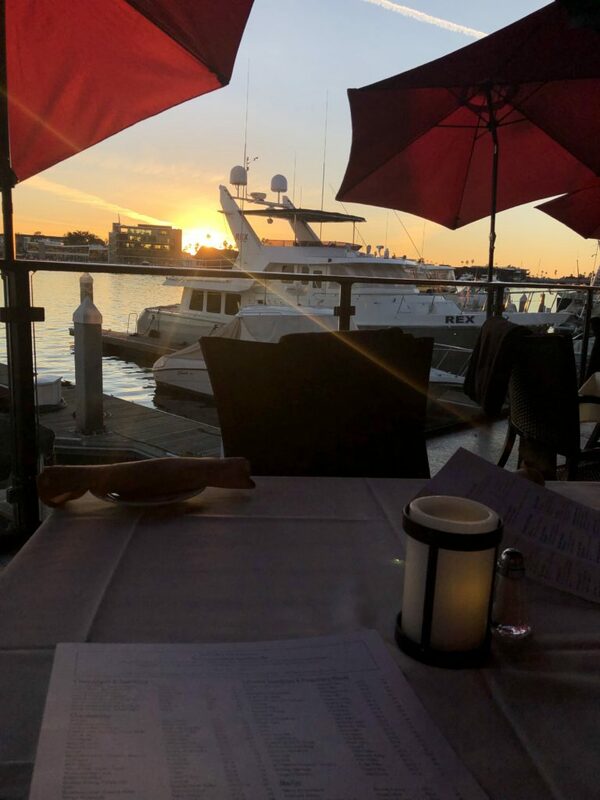 We had an incredible view of the marina and the sun setting. The weather was just right but they also offered to turn on the heaters for us outside. We ordered some champagne and cleaned out the garlic bread basket. (Don’t even try to get between us and garlic!) 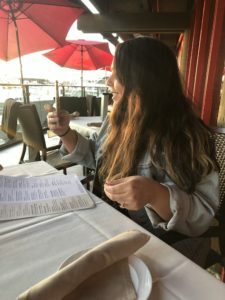 Our waitress was super sweet and helpful, food was prepared quickly and everything tasted great. Portions were a little smaller than I was anticipating for the price but still worth it. We had such a great little day date that Sunday. 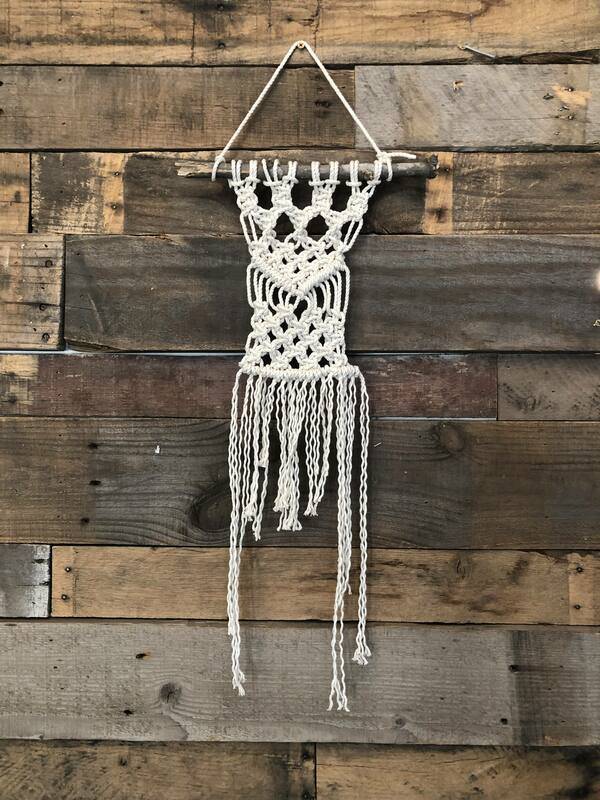 I highly recommend checking out the macrame workshop. If The Collab Lab’s other events are even half as fun as the one we attended, I’d check those out too!